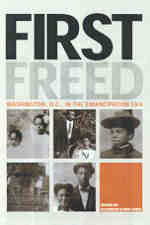 Edited by the award-winning author of Living in, Living Out: African American Women and the Great Migration and co-producer of the widely acclaimed public television documentary, "Freedom Bags," FIRST FREED is a unique study of the District of Columbia's emancipation legacy. 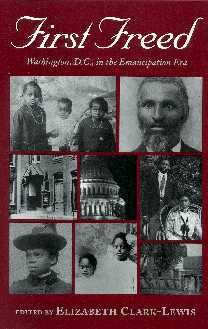 Drawn from the proceedings of a community-based conference held in Washington, D.C., its chapter’s document, from local archives and other primary sources, the course of freedom for blacks in the District--where slavery was abolished before emancipation occurred in the rest of the nation. FIRST FREED sheds new light on the history of the nation's capital. It more fully illuminates the experiences and activism of its early African American residents. ELIZABETH CLARK-LEWIS is Director of the Public History Program in the History Department at Howard University and a founding member of the Afro-American Historical and Genealogical Association.